Today Disney Cruise Line revealed where their ships are sailing in early 2019 … to tropical ports of call from coast to coast! We’re returning to favorite destinations on a variety of itineraries, including cruises from California, Florida and Puerto Rico. Highlights include an expanded two-month season from San Diego to the sun-drenched Baja and Mexican Riviera, a host of options to the Bahamas and Caribbean from Florida ports, and cruises to the Southern Caribbean from San Juan, Puerto Rico. All cruises departing Florida feature a stop at Castaway Cay, our private island paradise reserved exclusively for Disney Cruise Line guests. The Disney Wonder returns to San Diego for an extended season from March to May 2019, with a variety of cruises to Mexico where you can enjoy vibrant culture, stunning beaches, exciting water activities, cliff diving and ziplining through the jungle. Most sailings to Mexico’s Baja peninsula call on the charming coastal city of Ensenada, known as the “Cinderella of the Pacific” with its turquoise blue water and rugged mountainous terrain. Two-night cruises to Ensenada boast Friday departures from San Diego, giving you the ultimate weekend getaway to experience world-class entertainment aboard the Disney Wonder. Four- and five-night Baja options include a visit to Cabo San Lucas, a destination favored for arid climate and sunny weather, dotted with dramatic rock formations and bordered by white-sand beaches. Seven-night sailings to the Mexican Riviera call on Cabo San Lucas and feature the snorkeling and scuba diving hot spots of Puerto Vallarta and Mazatlán. These week-long cruises offer you the chance to make magical memories as a family while soaking up the history and Old World charm of Mexico’s Pacific Coast and taking in the beauty of stunning beaches and the nearby Sierra Madre Mountains. In January, three special Disney Wonder cruises from San Juan sail to the Southern Caribbean, visiting tropical destinations renowned for beautiful sun-kissed beaches and warm azure waters. On the six- and seven-night sailings, you can dive into charming island cultures, sunbathe on golden beaches and revel in local marketplaces. The Disney Wonder arrives to San Juan after a five-night journey departing Jan. 9 from Galveston, Texas, with a stop in Falmouth, Jamaica. On Feb. 3, a four-night cruise aboard the Disney Wonder takes you from San Juan to Port Canaveral, Florida, just an hour away from Walt Disney World Resort—the perfect stop for a fairytale land and sea adventure. With three Disney ships in port and cruise lengths spanning three, four and seven nights, vacationers looking for a getaway in early 2019 have a full menu of options from Port Canaveral, near Orlando, Florida. Every sailing from Port Canaveral includes a day at Castaway Cay. The Disney Fantasy continues to sail seven-night Caribbean voyages, with Eastern Caribbean itineraries visiting the Virgin Islands of Tortola and St. Thomas, and Western Caribbean cruises calling on Cozumel, Mexico, Grand Cayman and Falmouth. The Disney Dream embarks on three- and four-night Bahamian cruises to Nassau and Castaway Cay, and the Disney Wonder will alternate similar three- and four-night itineraries throughout February. To kick off 2019, the Disney Magic continues sailing from Miami with four- and five-night voyages to the Bahamas, plus five-night Western Caribbean cruises. The magical shores of Castaway Cay await guests aboard every one of these Disney Magic sailings. Other ports of call on the Bahamian voyages include Nassau and Key West, Florida, while a stop in Grand Cayman or Cozumel headlines the Western Caribbean itineraries. Bookings open to the public on Nov. 2, 2017. Check out the Ports and Itineraries for 2019 page of disneycruise.com for more details, and happy sailing! The September 11 sailing of the Disney Dream is cancelled. Refunds will automatically be processed back to the original form of payment used for the cruise booking. Guests are invited to book a future cruise at a 25 percent discount by calling us at 1-855-347-2784 or 407-566-7054 from September 18, 2017, through October 18, 2017. At this time, there are no changes to other sailings on the Disney Dream and Disney Fantasy. However, we continue to closely monitor Hurricane Irma and assess its impact on the ports of call we visit in the Caribbean and Bahamas. Updates regarding any necessary itinerary changes will be posted beginning September 12. In fall 2018, Disney Cruise Line will sail on new itineraries and to new ports, including first-time visits to Bermuda and Quebec City, Canada – both with multiple days to experience these captivating destinations. In addition to the new itineraries from New York to Bermuda and Canada, three special sailings from New York will take guests to Walt Disney World and Disney’s private island in the Bahamas, Castaway Cay. Sailings from California, Texas and Florida round out the 2018 fall season. Bookings open to the public on May 18, 2017. More details on 2018 itineraries can be found on the Ports and Itineraries for 2018 page of disneycruise.com. An idyllic setting for outdoor enjoyment, Bermuda offers its famous pink sand beaches, lush forests and a range of water activities. Shopping and sightseeing are plentiful and, at only 21 square miles, the island is easy to navigate and explore. With its own distinctive blend of British and Caribbean culture, Bermuda boasts a rich history in sailing, a passion for cricket and a truly unique national attire – Bermuda shorts. Quebec City, Canada, a new port for Disney Cruise Line, will be featured on two new itineraries sailing between New York and Quebec City. Both of these sailings include two full days in Quebec City as well as stops at other Canadian ports new to Disney Cruise Line – Saguenay and Baie-Comeau. Adding to the magic on these special sailings, every guest will receive a one-day Walt Disney World Park Hopper ticket and round-trip transportation between the ship and the theme parks. During their visit, guests can enjoy experiences like the new Pandora – The World of Avatar at Disney’s Animal Kingdom, which will immerse guests in a mystical world of massive floating mountains, bioluminescent rainforests and breathtaking new experiences. In September and October 2018, the Disney Wonder will sail from San Diego, California, to Baja and the Mexican Riviera. Baja sailings visit Cabo San Lucas and Ensenada, Mexico, both famous for stunning beaches and exciting water activities. Mexican Riviera sailings feature the snorkeling and scuba diving hot spots Puerto Vallarta, Mazatlán and Cabo San Lucas. In November and December 2018, the Disney Wonder returns to Galveston, Texas, with a variety of Caribbean and Bahamian itineraries. All cruises to the Bahamas include a stop at Castaway Cay. In December 2018, the Disney Magic will return to Miami with voyages to the Western Caribbean and Bahamas, including stops at Key West and Castaway Cay. During late 2018, the Disney Fantasy and Disney Dream will continue to sail a variety of Caribbean and Bahamian cruises from Port Canaveral, Florida, with every sailing including a day at Castaway Cay. Bookings open to the public on Feb. 23, 2017. More details on 2018 itineraries can be found on the Ports and Itineraries for 2018 page of disneycruise.com. For the first time, Disney Cruise Line guests can experience the rich culture of Barcelona and inspiring history of Rome as bookend experiences in a single cruise. In Rome, guests can explore the Colosseum, the Trevi Fountain and the Vatican, and sample authentic local cuisine. Barcelona offers beautiful beaches, the market streets of Las Ramblas, the artistic architecture of Gaudi and the famed Sagrada Família church. The Disney Magic will call on Cork, Ireland for the first time as part of Disney Cruise Line’s first-ever seven-night British Isles cruise, departing on Sept. 2, 2018. Additional ports visited on this sailing include Dublin, Ireland; Greenock, Scotland; and Liverpool, England. Cork is home to a vibrant culinary scene and a plethora of pubs, shops and cafes. It invites visitors to connect with Ireland’s ancient past, with historic sites like Blarney Castle, where visitors can kiss the famed Blarney Stone. Throughout the summer, the Disney Magic’s tour of Europe continues with engagements in the Baltic, Norwegian fjords, British Isles and the Mediterranean. The Disney Fantasy will embark on a special 11-night southern Caribbean itinerary departing June 30, 2018, visiting tropical destinations, renowned for beautiful sun-kissed beaches, including Aruba, Barbados, Martinique, St. Kitts, Puerto Rico and the Disney private island, Castaway Cay. On June 6, 20, and July 4, the Disney Dream will sail from Port Canaveral, Fla., on four-night cruises to Nassau, Bahamas, plus two stops at Castaway Cay. On June 1, 10, 15, 24, 29, and July 8, the Disney Dream will sail from Port Canaveral, Fla., on five-night cruises to Nassau, Bahamas, plus two stops at Castaway Cay. A tale as old as time gets ready to take the stage with “Beauty and the Beast,” a brand-new musical production inspired by Disney’s live-action adaptation of the animated classic. The show will expand upon the most imaginative elements of the highly anticipated live-action and classic films and delight Disney Cruise Line guests aboard the Disney Dream, beginning this November. Audiences will once again fall in love with the enchanting fairytale as they embark on a sweeping journey to discover the power of transformation through true love and courage. This new production of “Beauty and the Beast” celebrates the romance, adventure and magic of the live-action film, weaving in the charm and nostalgia of the award-winning animated feature. “Beauty and the Beast” will bring the timeless fable to life like never before, featuring a style of theater that interlaces classic storytelling elements with cutting-edge technology, to create a unique, theatrical experience in the 1,340-seat Walt Disney Theatre. An innovative take on the story will transform renowned songs into spectacular, show-stopping numbers, and lavish costumes and puppetry will bring a fresh perspective to beloved characters. Drawing inspiration from the live-action film, the stage musical uses the scenic motif of a music box to guide spectators through the story. Set designer, Jason Sherwood (“Paint Your Wagon,” “Frozen, A Musical Spectacular”), worked in concert with video designer, Aaron Rhyne (“Frozen, A Musical Spectacular,” Broadway’s “Anastasia”), to create a transforming set that will take audiences on a magical journey through the music box, from Belle’s provincial French town to the Beast’s mysterious castle. To bring “Beauty and the Beast” to the stage, Disney assembled an all-star creative team, led by director and choreographer Connor Gallagher (“Tangled: The Musical,” “Found”). Gallagher collaborated with writer Sara Wordsworth (“Frozen, A Musical Spectacular,” Broadway’s “In Transit”) and a talented collection of Broadway artists to create an imaginative, new approach to this iconic story. Through a combination of high-definition projections, dynamic scenery and a little bit of Disney magic, this new interpretation of “Beauty and the Beast” will create a visual panorama that reaches beyond the stage and into the audience. Complementing the immersive set, lighting design by four-time Tony Award-nominated, Japhy Weideman, punctuates the powerful emotions of the classic tale. “Beauty and the Beast” features songs from the original animated film’s award-winning soundtrack by acclaimed composer Alan Menken and lyricist Howard Ashman. Complementing the score, the show also includes two of the new songs created for the live-action film by Menken and lyricist Tim Rice, “How Does a Moment Last Forever” and “Days in the Sun.” Enchanting arrangements and orchestrations by Matt Castle and Frank Galgano (“Into the Woods”) will bring a unique musical identity to the production. Beloved songs like “Belle,” “Something There” and “Beauty and the Beast” will receive a musical makeover that reflect the show’s stylized approach, while songs like “Gaston” and “Be Our Guest” will leap to the stage as joyful and exuberant production numbers. One of the most iconic songs in the Disney canon has been completely re-imagined for the stage. “Be Our Guest” is becoming a multi-course French dinner rooted in imagination and fantasy. Rousing choreography and dazzling visual effects will fill the stage during this full-fledged spectacle. Blurring the line between costuming and puppetry, costume designer Sarah Cubbage (Broadway’s “Skylight”) and puppet designer Lake Simons (“Etiquette Unraveled”) joined forces to give life to the enchanted objects of “Beauty and the Beast.” Beloved characters like Lumiere, Mrs. Potts and Cogsworth are realized in an unprecedented way, using innovative puppetry and elaborate costumes to bring these characters to life in their true scale. “Beauty and the Beast” will debut during the Disney Dream voyage departing Nov. 6, 2017, joining an incredible lineup of Broadway-style stage productions aboard the ship, including “The Golden Mickeys” and “Disney’s Believe.” The Disney Dream sails three- and four-night cruises to the Bahamas from Port Canaveral, Fla. The Walt Disney Studios Motion Pictures live-action film “Beauty and the Beast” premieres in theaters March 17, on land and at sea aboard Disney Cruise Line ships. Attention princesses and royal knights! It is with great pleasure we announce the addition of Royal Court Royal Tea to all four Disney ships. Families have been enjoying this royal celebration on the Disney Fantasy, and most recently during 4-night cruises onboard the Disney Dream. It will soon be available on 3-night Disney Dream voyages, kicking off on the Nov. 4 sailing. The Disney Wonder will also whisk children and parents off to this magical affair starting Nov. 10, and on the Disney Magic, the tea will be offered beginning Dec. 11. During Royal Court Royal Tea, storytelling meets reality as children are crowned young princesses or dubbed royal knights. Of course, no royal celebration would be complete without a visit from Disney Princesses. Escorted by a Royal Page, the Princesses will visit each table to meet guests and welcome them to the tea party. Lady Chamomile, the Royal Tea Hostess, and Chef Brule, the Royal Pastry Chef, host the stately celebration, and the pair presents the princesses and knights with some of their most delightful culinary specialties. Young royal guests also receive unique keepsakes and a memorable photograph with their favorite Disney Princesses. Awards like these are a true testament to Disney’s crew members’ commitment to creating an unforgettable experience for their guests at sea. The anticipated path of Hurricane Matthew has forced Disney Cruise Lines to alter the itineraries of three of it’s cruise ships. The Disney Fantasy, set to sail on Saturday (Oct. 8), will depart on Sunday (Oct. 9). The cruise has been changed to a six-night Caribbean cruise. The ship will make stops in Cozumel, Grand Caymen and Castaway Cay. Guests who stay on the revised itinerary will receive a pro-rated refund equal to one-night of their cruise fare and an on-board credit. Guests who want to rebook a future cruise, or cancel their cruise for a full refund can call 1-866-325-3905. The Disney Fantasy that set sail last Saturday (Oct. 1) will stay at sea for an extra day. The ship will return to Port Canaveral on Sunday. The Disney Dream that set sail on Monday (Oct. 3) will stay at sea for an extra day. The ship is expected to return to Port Canaveral on Saturday. The Disney Dream scheduled to set sail on Friday (Oct. 7) has been canceled. Refunds will automatically be processed back to guests. For more information, call 1-866-325-3905. The ship sailing on Friday (Oct. 7) from New York has been changed to a Canadian itinerary with stops in Nova Scotia and New Brunswick. 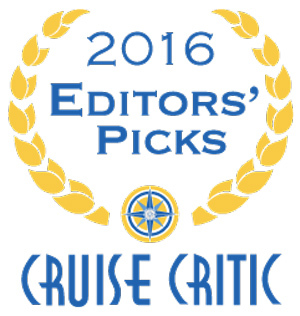 Guests who stay on the revised itinerary will receive an onboard credit. Guests who want to rebook for a future trip at a discount or cancel their cruise can call 1-866-325-3905. The Disney Cruise Line contact center is closed because of Hurricane Matthew. The contact center will reopen Saturday. This holiday season, give a gift that’s both nautical and nice: a cruise on the Disney Magic, Disney Wonder, Disney Dream or Disney Fantasy, all decked out with holiday cheer. Starting early November, Disney Cruise Line adds sparkle to each ship during Very Merrytime Cruises, with traditional “turkey day” fanfare, Christmas feasts, “snow flurries” and New Year’s Eve galas. But the best part might just be relaxing on deck instead of shoveling snow. Christmas morning at the atrium lobby tree Santa Claus and his helpers will have a surprise for all the kids, and guests will delight in a special musical performance from the children. A traditional Christmas Dinner will be served that night in the dining rooms. Christmas services will be held on Christmas Day with a midnight mass on Christmas Eve. Hanukkah services will be held each day, Dec. 24 to Jan. 1. For an extra sprinkle of holiday joy, special amenities are available for stateroom delivery. Purchased in advance of sailing, these include holiday-themed gift packages and treat baskets and even mini Christmas trees decorated with ornaments, red berries, mini carnations and a bow topper. Plus, during the holiday cruises, the Disney Cruise Line holiday merchandise collection and ever-popular Disney Cruise Line ornaments will be available in the gift shops. To ring in 2017, voyages during the holiday include a special New Year’s Eve party, complete with music, sparkling wine in commemorative flutes and a midnight countdown. To celebrate the holidays, the Disney Magic sails four- and five- night Bahamian cruises, five-, six- and seven-night Eastern Caribbean cruises, and seven-night Western Caribbean cruises departing Nov. 5 to Dec. 23; the Disney Wonder sails four- and seven-night Western Caribbean cruises, and seven-night Bahamian cruises departing from Nov. 10 to Dec. 23; the Disney Dream sails three- and four-night Bahamian cruises departing from Nov. 7 to Dec. 22; and the Disney Fantasy sails seven-night Eastern and Western Caribbean cruises departing from Nov. 19 to Dec. 24. Disney Cruise Line will treat guests sailing this fall to a wickedly good time as the ships transform into a ghoulish wonderland filled with frightfully fun events and activities, special decorations, unique menu items in the restaurants and themed parties. To celebrate Halloween, the Disney Dream sails three- and four-night Bahamian cruises departing Sept. 2 to Oct. 31; the Disney Fantasy sails seven-night Eastern and Western Caribbean cruises departing Sept. 3 to Oct. 29; and the Disney Magic sails five-night Canadian Coast cruises, and seven- and eight-night Bahamian cruises departing Oct. 2 to Oct. 29.